JA: So you have done a lot of different things with your professional career, ranging from stand-up comedian to production designer and producer; you are now writing the screenplay for your new film at The Jim Henson Company, Fraggle Rock: The Movie. Let's start at the beginning, when did you first realize you wanted to become involved in the entertainment industry? CE: Since I could walk! Okay, a little after that. My brother and sister and I have always been creative, putting on plays and puppet shows and making a very big deal out of our Halloween costumes. And that segued into making radio shows on our tape recorder, and experimenting with our church's video camera. At about ten years old, I became very, very fascinated with how every art form imaginable comes together to make one art form: a movie. I'm going to be a bit cliche here, but I remember a very crystalizing moment when I walked into the movie Star Wars: A New Hope. Up until then, I had really only seen Disney comedies and a few light family films. I was the perfect age to receive it at nine years old, and Star Wars was my introduction into bold, mainstream movie making. It blew the doors off my imagination and my concept of what a movie could be. The world just got bigger. I believe it was that summer that I checked out every book in the library about filmmaking and started making my own movies. My entire life from that point has been a constant quest to do what I do now. My wife tells me that this is rare: to stick to the one thing that gave you joy as a child and to make it a career. So I feel blessed every day. JA: Tell me about your involvement with the 1999 film Chillicothe. CE: That was a film written and directed by my brother, Todd Edwards. Todd and I started a production company called Blue Yonder Films (which continues to make films today), and this was the project that we poured all of our contacts, resources and efforts into. Thematically, it's ironic, because the plot is about some guys who have no drive or goals after college (or have forgotten them) and have to find a passion for their lives again. For all of us in Blue Yonder, Chillicothe became that passion for a couple years. I was a producer on the film, which means I was on the phone a lot raising money. We raised the budget ourselves and shot the whole thing independently in Tulsa, Oklahoma. I was also an actor in it. The film was the first feature-length project we had ever worked on, and it was accepted into Sundance. That was a thrilling time for us, and we met a lot of people and finally started getting hooked into the Hollywood community. Chillicothe is a labor of love that I will always look back on fondly... and it celebrates its ten year anniversary this month. Go check it out! 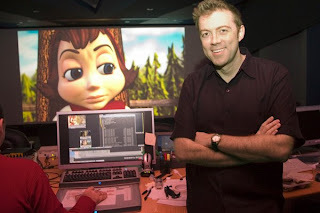 JA: In 2005 you would write and direct your first major motion picture, Hoodwinked!, which would also be The Weinstein Company's first fully-animated feature; this was also mentioned by Todd Edwards to be the first fully independently-funded computer-animated feature film. Tell me about bringing this story to life, from the earliest stages of development to post-production. CE: It all began when we were courting an investor in San Francisco on a number of other live action projects. When he expressed an interest in animated films, we prepared a brand new story to pitch to him, and that was Hoodwinked. I remember the day that Todd called me up and pitched me the concept: Red Riding Hood's story as a crime story, told from four different perspectives! To this day, I don't think I've seen another kid's film told like this: non-linear, with four stories crossing paths. I think that's the "steam" that got me going and kept me working on it for three years. It was such a unique concept. 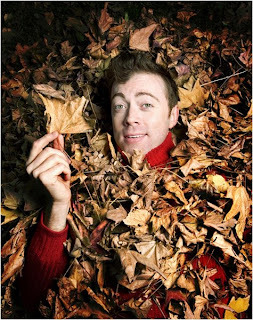 Hoodwinked began as a completely independent project, and for three years, we had no idea if it would be distributed. Todd and I wrote the first drafts in a coffee shop. Then Tony Leech came on to edit the story reel on his Mac while I sketched the storyboards and Todd wrote the songs. This phase was all happening in Tony's apartment! Then our producer, Sue Bea Montgomery, would come over and meet with us and kept talking to our investor. The project began with very humble aspirations; as a DVD release for young kids that might pay our bills for a while. Thankfully, Weinsteins came in at the eleventh hour and helped vault it to a major release. They also helped us get some bigger names in the cast. Weinstein Company's involvement also inspired the investor to spring for better technology and a better sound mix -- at Skywalker Sound, no less! All of that happened very fast and then the brilliant marketing campaign from Weinstein Company (which also had to happen very fast) created this wave of audience awareness for the film just weeks before it came out. We missed the number one box office spot that weekend by only $50 grand! And I realize that there were other independently-funded projects being done at the same time, but yes, we were the first... the first kind of a new model and a new way of making an animated film. It was made with no studio money, overseas, then picked up by a major distributor. A few other animated films have followed this path, but not to the level of success that Hoodwinked was able to achieve. I know Veggie Tales had a movie come out earlier that year, but that was with a struck deal and brand recognition. Hoodwinked was this freak of nature that was made completely outside of the studio system and, thankfully, worked. I rarely toot my own horn, but these are facts that never get mentioned and I am really proud of what our little film did. 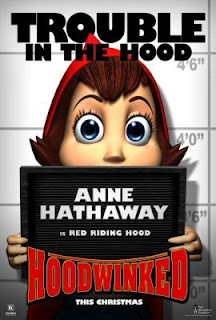 Hoodwinked was made for under $8 Million, and has grossed over $150 Million worldwide. That easily makes it the most profitable animated film of its time. JA: What inspired you to become involved in animation? CE: I grew up drawing cartoons, and was a professional illustrator and animator for a few years after college. I have always had an affection for the art form. I love watching it and learning about it as a filmmaking tool. During my summers in college, I worked for a commercial animation company in Columbus, Ohio as an "in-betweener," sketching the rough animation between key poses from the lead animator. That was extremely educational and taught me a lot about the fine points of movement and expression in animation. 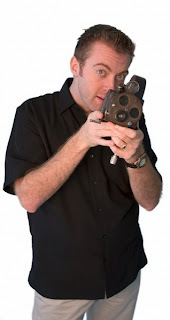 Then years later, I got to direct some animated DVD product for my friend Benjy Gaither and his animation company, Live Bait Entertainment (Benjy also ended up voicing Japeth the goat in Hoodwinked.). So all of these experiences led me to be in a unique position of being confident enough to directing an animated film as my first feature. I never would have dreamed that's how things would play out in my career. JA: What are your thoughts on the final film, and what are some of your favorite memories while working on it? CE: I just watched it again recently at a screening for some college students. It's my favorite kind of audience; the audience we really wrote it for. While there will always be clunky scenes that I have regrets about, I still enjoy watching most of it. I think we got about 80% of what was in my head onto the screen. And considering our resources, I'd say that's pretty good! There are still jokes that I laugh at... weird jokes, like when the Wolf says he was "raised by wolves," we top that joke by going to a "Ken Burns documentary" shot of his family with sad piano music. I can't believe we got away with that stuff. But it made us laugh. Fond memories from the film would include the camaraderie that we were able to achieve in the Philippines as we carved out a tiny animation studio. My partners and I got very familiar with all of the malls around Manila. We would always look forward to going out at the end of a long, long day and having some comfort food at the westernized restaurants ("Hey, they have an Outback Steakhouse!"). I will also never forget driving onto Skywalker Ranch to mix the sound for my movie. It's as heavenly there as you might imagine. JA: There is currently a sequel in the works, Hoodwinked 2: Hood vs. Evil; you are not directing this time, but are credited with writing the screenplay. What made you decide against directing the film, which is now being directed by established animator Mike Disa. CE: While Tony, Todd and I enjoyed revisiting those characters (and protecting them) by writing the script, there are many reasons I was very firmly against directing the sequel. First off, I felt like if my second film was a sequel to my first film, that would be a very lateral creative move for me. It's not exactly a career-stretching way to cash in the "currency" I had earned with "Hoodwinked." Another reason was that I wanted desperately to get into live action films, and was very concerned about being pigeon-holed as an animation director (since I have never seen myself as that in the first place). 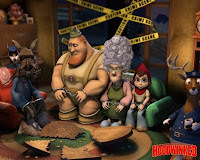 But one of the biggest reasons I didn't want to direct Hoodwinked 2 was because I did not have a good experience with some key people on the first film. To put it lightly, I was not treated well. I don't have any interest in working with people like that again. Life's too short. And on the positive side, I think Mike Disa is doing a great job as director. He's a lot smarter in the world of animation than I am, and he is taking the "Hoodwinked" world to a new level. I look forward to the film he's going to create with our screenplay. JA: In 2006 you lent your voice talents to the film Doogal, how did you get involved with that production? CE: That whole thing started as a rewrite assignment. Todd and Tony and I did the rewrite as we were finishing Hoodwinked, and it was a tough assignment. The film was basically finished and purchased as a foreign film, and we were asked to rewrite the whole thing while fitting new jokes and new dialogue into the existing lip sync of the characters. And by that I mean we completely changed the plot and even re-edited the movie as we wrote, all the while knowing that we could never change a frame of the animation. So the film was a bit of a "Frankenstien's Monster," to say the least. Then, to really sell our take on the movie, and to make sure the jokes were actually fitting with the lip sync, the three of us overdubbed all the character voices in a rough cut and showed it to the Weinsteins. They liked it so much that they asked me to come in and do some voices here and there. I defy you to tell which lines are mine... I don't think I can remember myself! A skeleton here, a tiny creature there... and I even doubled for Bill Hader's character in a few scenes. It was fun to be in the booth, but also a little stressful, since none of us really knew where the project was going. 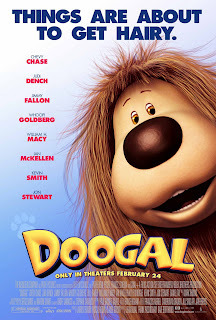 To this day, you can say the word "Doogal" to me and I feel like I'm going to break out in a rash. JA: You are also writing the screenplay for Escape from Planet Earth, which is being directed by Tony Leech, who you also worked with on Hoodwinked! ; what can you tell me about this film? CE: Tony's had this great concept: "In Area 51, alien prisoners stage a jail break." The aliens are all from different planets, with different abilities and faults. The humans are mysterious "monsters" to them; the villains, if you will. The film is still in production up in Vancouver, and the last I heard, they are in the "story reel" phase, which is a version of the film that is simply storyboards edited together with temp audio. We have done a lot of rewrites on this script, and it has been a long process of figuring out what the studio wants and balancing that with what we, the writers, want. Truthfully, I have not written on the film for almost a year, and I know that Tony is moving ahead with some minor rewrites on his own. The artwork I have seen is unbelievable... fantastic, "Incredibles" caliber stuff. They are just scrutinizing the finer story points at this point. I anticipate that they will be moving into casting very soon. The script always makes me laugh out loud in many, many parts, and it's going to have some amazing action scenes in it. Look forward to hearing more about it in a year or so. JA: Fraggle Rock: The Movie will be released in 2011, and I know that everything about this movie is being kept top secret, so let's talk about what you have been doing to get into the mindset of making this film; you wrote on your site that you have been re-watching every Muppet film. What are some of your favorite Muppet moments? CE: I am hopeful that the film will release sometime in 2010, but we are currently awaiting a production green light. The script is in great shape, but a production budget and schedule are not in place yet. 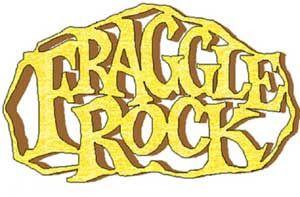 I'm really excited about the Fraggle Rock movie and hopefully it will exceed expectations. I'm shooting high with this one, trying to say some big things about humanity in the way that WALL-E did, but at the same time, make a really cool adventure film. 1. Kermit Rides a Bike, The Muppet Movie. To this day, there is a magic in that stunt that every other Muppet stunt has to match. I love films that were made pre-CGI effects, because when you see a moment like this one, you know it's REALLY happening on the set. 2. Kermit and Fozzie Drive and Sing "Movin' Right Along", The Muppet Movie. The Muppets drive a real car! That blew my mind. To see these characters leave the TV studio environment we had always seen them in and take off into the real world was very exciting. And I can still sing every word of this song. 3. Rats Working in the Kitchen, The Muppets Take Manhattan. There are so many crazy puppet stunts in this that it amazes me. These little rats are skating on real butter pads, unicycling with egg beaters, and swimming in soup pots. All with real puppets, each rigged for that specific gag. While Frank Oz directed the film, Jim Henson directed this sequence. It's a real testament to his love of these kinds of "magic tricks," and his commitment to building a different puppet for each single gag. 4. Miss Piggy and Kermit Get Married (or do they? ), The Muppets Take Manhattan. Every Muppet character seemed to be there in the chapel, even the Sesame Street gang. It really felt like one of those monumental "This Is Your Life" moments for the characters. And I still don't know if the union is legal or not. 5. "Happiness Hotel" song, The Great Muppet Caper. Just a happy, chaotic song that encapsulates that Muppet energy: they all live together in a condemned, cheap hotel, full of hijinks and calamity, and they love it! The song is so catchy and makes me wish I could live there too. 6. The Rainbow Ending of The Muppet Movie. It doesn't really make much sense what happens here... all the Hollywood sets fall down and suddenly there are a hundred Muppets singing. It's kind of a "dream sequence" moment. But those lyrics about "the lovers, the dreamers and you" get me every time. I have to stop there. I'm sure there are more, but these rose to the surface! JA: How did you become involved with the Jim Henson Company for this project, and what has it been like so far working so closely with the Henson family? CE: I first met Lisa Henson and Jason Lust from the company at the San Diego Comic Con, through some mutual contacts. Then they told me that they had seen "Hoodwinked" and loved the tone of it. 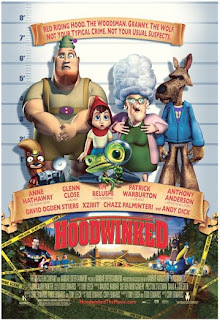 I've always thought that Hoodwinked had a significant "Muppet" vibe to it. Then they asked me to work on a rewrite of the Dark Crystal sequel. That was an exciting prospect, but the deal never came together and the film has changed hands in several ways since then. 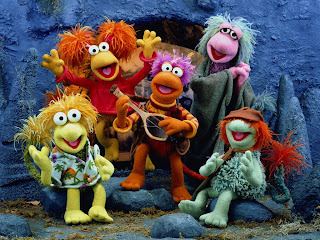 But that got me into several conversations with the studio that led to Fraggle Rock. For a long time I was resistant, since Fraggle Rock was not a series I was familiar with, and I wasn't sure if that was the right move for my second film. But the more I thought about Jim Henson's original vision for the Fraggles and that it was a chance to say something very significant to the world, the more I got really invested in the idea. After I had a story in my head I wanted to tell, the deal came together very quickly. Working with the Jim Henson Company has been the best situation I could imagine. They are all very smart people over there, who care very much about their properties and characters. But they are also incredibly collaborative and want to pave the way for new creatives to do their own thing. It's been a very open place to throw around ideas and argue for the best movie. Lisa and Jason have been extremely supportive of what I want to do, and Brian Henson has also become a good mentor to the project. He's always giving me tips and advice on how to shoot puppets, or sharing a war story that will help me down the road. I couldn't be happier to work with this group; the people who forged most of my childhood influences! JA: Where do you see yourself in ten years? CE: I sincerely hope that I will be able to carve out a niche in this business where I am a "brand name" director. By that I mean, when an audience sees my name, they anticipate something good... and when a studio thinks of me, they are eager to make a "Cory Edwards film." That kind of branding can take several years and several movies to create, but that is why I am so careful with my choices for the next few projects. I hope in ten years I have had the chance to explore a number of genres. 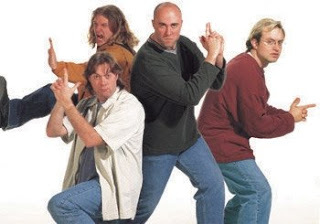 You look at the careers of Spielberg, Zemekis, Ridley Scott, David Fincher, Ron Howard... these guys began as the go-to guys in specific genres, but the public has allowed them to "grow up" and venture into all kinds of material. I want to keep surprising people, but still keep my name synonymous with quality. And right now in the present, if people want to see me as the family film/comedic guy, well that ain't all bad either.